The “Best of the Flathead” reader’s poll from the Daily Inter Lake is an annual affair that asks readers to vote for companies, people and organizations who are the best at what they do. If you win, it can be a good boost to creating brand awareness, but it may not drive hordes of new customers to a business. In last year’s “Best of the Flathead” reader’s poll, a well-intentioned soul was kind enough to submit the Flathead Guide as one of the “Best Promoters of the Flathead”. Like most companies listed in the poll, I got caught up in the frenzy and I aggressively promoted the poll on this website, Facebook, Twitter and other social sites. Although I wanted my business to win that title, I honestly did not think that I had a chance. After all, the Flathead Guide had just been launched in January of 2013 and by June it was in contention for being one of the “Best Promoters of the Flathead”? Now that was a long shot! However, when the dust settled the Flathead Guide was awarded an “Honorable Mention” (4th. place) and that was a total shock to me considering I was competing with established companies, popular local media personalities and well-connected political types. Not a bad showing when you consider the odds! Fast forward to 2014 and this year’s poll has closed (winners to be announced soon). I chose not to promote our company in the poll this year even though the Flathead Guide was again listed as one of the contenders. I did not ask for votes or promote the contest on this website or any of our social sites. If the Flathead Guide earns a mention this year, that would be nice, but it really doesn’t provide any benefits except bragging rights that disappear at the end of the current news cycle. The “best” are found in Google and Bing search results! We have 90,000+ people living in the Flathead and 2.3 million+ people visit our area every year. When they want to find a good place to eat, sleep, shop, rent something or fix something, entertain themselves or find a doctor, dentist or lawyer… they search online. When your pipes burst and you need a plumber you don’t reach for a newspaper to see who may have won the poll or if someone placed an ad that week, you search online for “plumber”. And the Yellow Pages can’t be unearthed in most homes because it never gets used anymore. We have learned that a few taps on our smartphone or tablet and we’ve found the “Best of the Flathead”. The “best” are the search results that appear on page one in search engines. Your business may be voted the “Best of the Flathead”, but if you are not listed on page one of Google that title offers little or no value to your business. Search is the only contest we need to win because the business world is driven by search – your business will prosper or perish based on your website’s performance in search results. 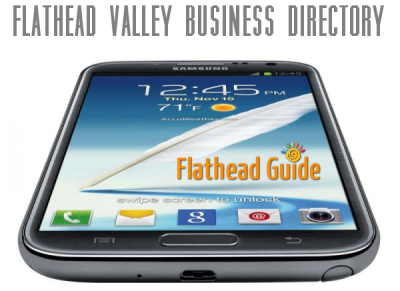 Every business listed in the Flathead Guide has an indisputable edge over their competitors. Being listed means that your company has an additional opportunity to appear in search results and capture new ready-to-buy customers. Being voted the best in a reader’s poll offers no such benefit and does not impact your search results. Seriously, which would you prefer; 84 brand new customers or a certificate hanging on your wall? Bigfork Outdoor Rentals is a small company serving a niche that relies heavily on tourists. In the past 30 days alone, their listing on the Flathead Guide was viewed 84 times by people who searched for their services and landed on their Flathead Guide listing. This means that one tap of a finger and they can be speaking to the business on their phone, sending them an email or clicking through to their website. These were real prospective customers who were ready-to-buy! They searched for a product and found it in the Flathead Guide listing. The major flaw with such a poll is that it is not the least bit scientific and only reaches a small percentage of the people in our community – and virtually none of our millions of visitors. To my knowledge there is nothing in place to prevent people from outside of our area from voting or to keep one person from voting over and over again using different browsers, networks and fictitious email accounts. In other words, it is an easy election to buy. Most of us are just too busy managing our business to play those silly games, but the opportunity for such shenanigans exists and will skew results. After being awarded an “Honorable Mention” in last year’s poll, a salesperson from the newspaper called to sell me an ad. Her pitch made sense in that the upcoming issue would be quite popular as it would list all the winners of the “Best of the Flathead” reader’s poll and that most winners would be buying an ad to thank people for voting for them. I agreed with her logic somewhat, but what I wanted most was assurance that my ad would appear online because I know the value of a link from a strong local website. I was told that yes, it would appear online so I decided to gamble and spent hundreds of dollars and bought that ad. When it was over, I did not receive one phone call or even one email from any of the 5,000 businesses in the Flathead Valley. To make matters worse, the ads were listed in a downloadable 10 Meg. PDF file from their website. That PDF bestowed no SEO value. As the owner of the Flathead Guide and a twenty-year Internet marketing veteran, my focus is to improve the search results for every business listed in the directory. I know that by having a listing from a strong local website like the Flathead Guide, every business website is boosted in search results. I also know that search engines now show results based on the device – in other words, searches from mobile devices see different search results than those from a desktop. That means Flathead Guide listings can often rank higher than your primary website, which helps all businesses and gives them an edge. The Flathead Guide doesn’t give out awards or sell advertising that disappears 24 hours after it is published. For less than the cost of lunch at a fast-food restaurant, your business listing works 24x7x365 and at only $4 per month it is the “Best Promotional Value in the Flathead”. Your listing performs like a stand-alone mini website that is search engine optimized to attract ready-to-buy customers. You can include virtually anything you have on your primary website; photos, video, an unlimited text description, a Google map to your location, all contact info and links to your website and all your social sites. All this for only $4 per month…this is the “Best Value in the Flathead” when it comes to advertising and promoting your business online. Do it now – add your business to the Flathead Guide today! 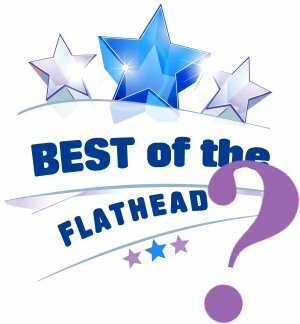 PS: We love the Best of the Flathead readers poll and the excitement it generates in our community. Don’t misinterpret my recommendation that businesses need to optimize for search results above all other promotion and advertising efforts. Even if people see an advertisement, many will search online for more information, contact info, directions, etc. If they can’t find you online, they will choose a competitor that meets their search request. Get listed in the Flathead Guide and get found!